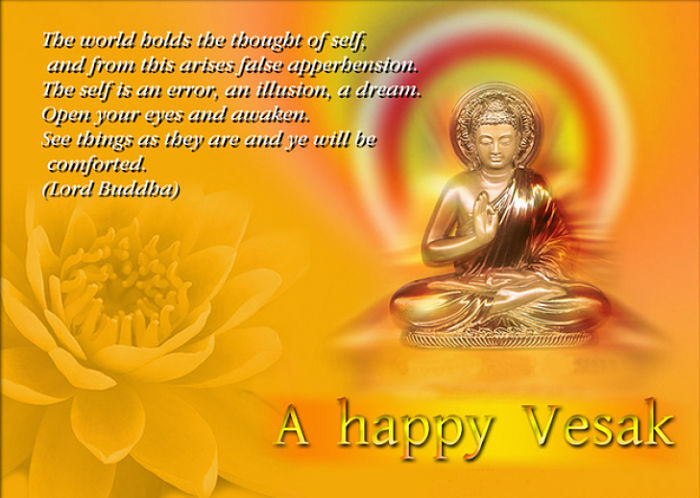 Happy Vesak Day to all Buddhists. Wesak Day is the day that all Buddhists in the world celebrate the birth, enlightenment and death of Lord Buddha. It is also the day when Siddhartha Gautama gave up his wealth and left his palace as he was concerned about the sufferings of common people and thereafter to preach Buddhism to the world. The name Buddha means “the one who is fully awake”. May yours truly wish all Buddhists a very happy and festive Vesak Day. May Wesak Day brings all Malaysians peace and stability. Most of all, less politicking and let us all move forward to nation building. The Rakyat have spoken during PRU-13 and it is now the time for all Malaysians to discard our differences and make Malaysia a great nation. For the non-Buddhist Malaysians, yours truly wish you all and your families a happy holiday. Yours truly would like to share those beautiful and meaningful pictures that tell many stories for all of us to learn to live in peace so that we can build a better Malaysia for our next generations. 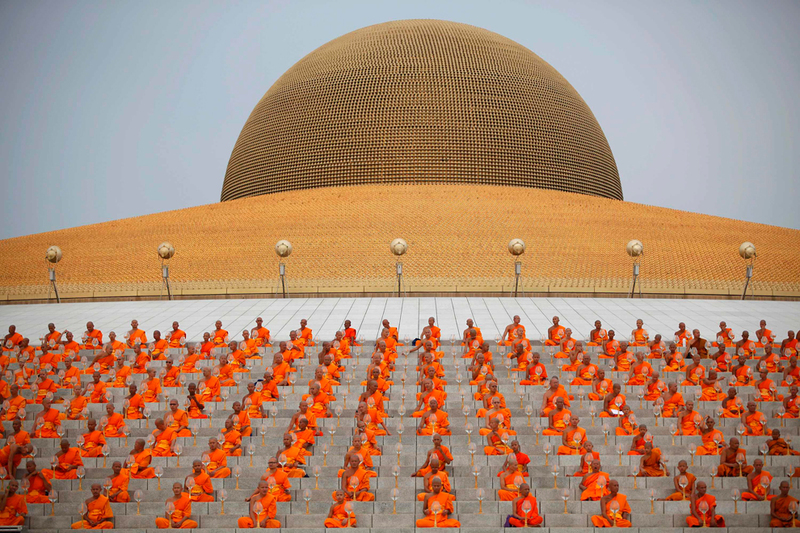 Buddhist monks attend a Vesak Day ceremony at Dharmakaya Temple in Pathum Thani province, outskirt of Bangkok, Thailand. Picture by Damir Sagoli. 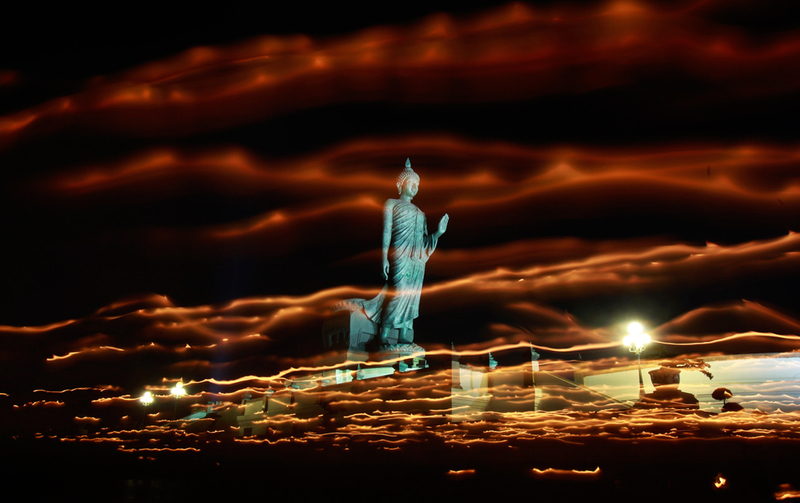 Buddhists carry candles while encircling a large Buddha statue during Vesak Day, an annual celebration of Buddha’s birth, enlightenment and death, at a temple in Nakhon Pathom province on the outskirts of Bangkok. Picture by Chaiwat Subprasom. 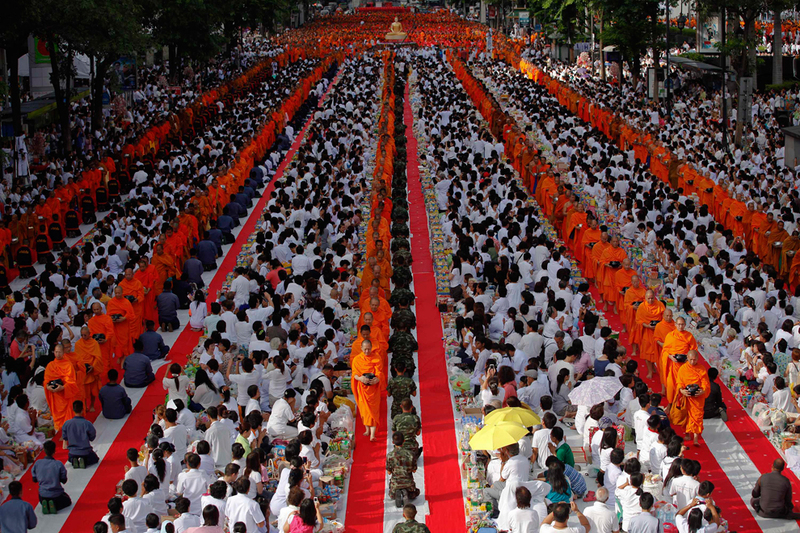 Thousands of Buddhist monks walk among believers during an alms offering ceremony in Bangkok’s shopping district. Picture by Damir Sagolj. 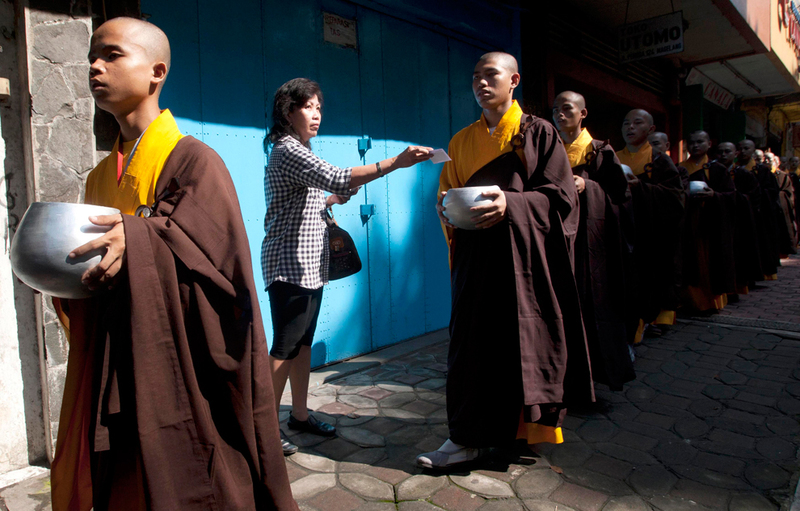 A Buddhist devotee gives a donation to Buddhists monks ahead of a Vesak Day procession in Magelang, central Java. Buddhists in Indonesia will celebrate Vesak Day to honor the birth, enlightenment and death of Buddha. Picture by Dwi Oblo. 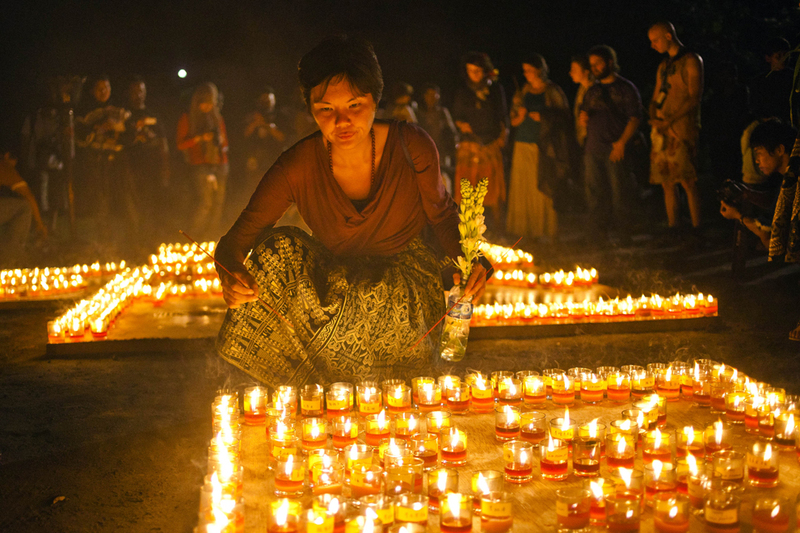 A Buddhist devotee light candles at the Borobudur temple during Vesak Day. Picture by Ulet Ifansasti. 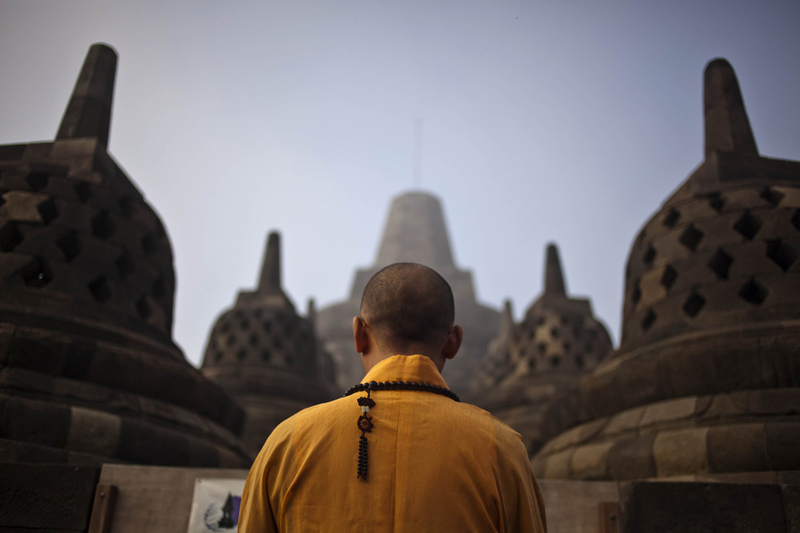 A Buddhist monk prays at Borobudur temple on Vesak Day at the Borobudur Mahayana Buddhist monument. Picture by Ulet Ifansasti. 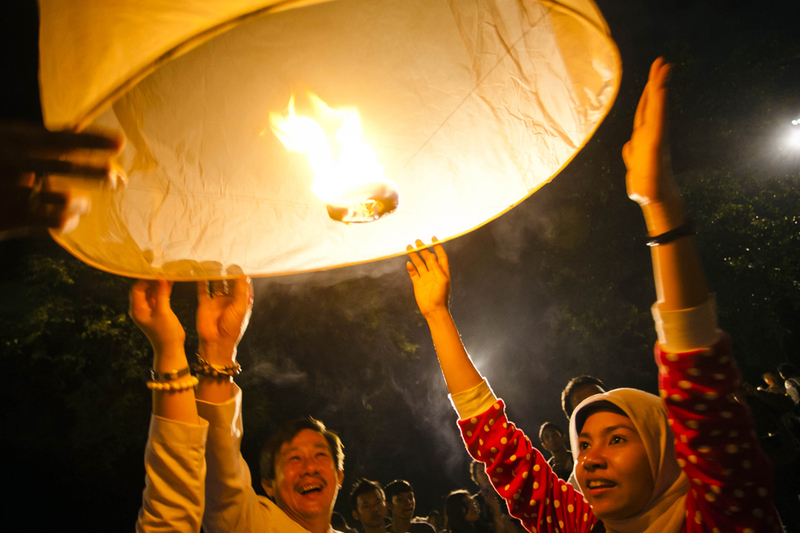 Though the recent pru has left me feeling angered by the chinese tsunami of back stabbing Najib, BN and malays in general….I do sincerely want to wish u sir a Happy Wesak Day. And hope that u will continue to fight against the opposition. Happy Vesak Day to you too YB. We should all cherish our freedom and peace in Malaysia. We don’t need all the protests to stabilize the country. Anwar should now carry out his promise to give up politics and be a lecturer somewhere else if he is wanted. But it would appear that he is now doing a U-turn. He was just bullshitting Malaysians again. Without him Malaysia will be much better place. I chose not to part because of the political situation before PRU13. Malaysians has became polarized and fixated with politic of hatred that have been sowed for the past several years after Tun Abdullah taken over as the PM from Tun Mahathir. May I wish you and family a pleasant and happy holiday. But that dua alam wants to be the PM! He doesn’t care about nation building and yet there so many blind Chinese following his path to over throw the government by street demonstrations.